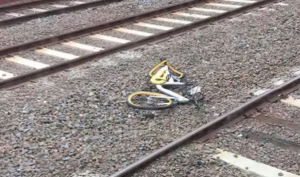 FOR months, Aussies have complained of dumped share bikes littering the streets — and now, it seems the dockless bike experiment has failed spectacularly. Chinese-owned Ofo has just announced it will be withdrawing from Australia within two months, following hot on the heels of several other big-name competitors. The stunning turnaround comes less than a year after the Ofo scheme was first rolled out in Adelaide in October 2017, followed by Sydney soon after. But Ofo is just the latest bike share operator to leave Australian shores.